Gutkovaite-Mn: Mineral information, data and localities. Named after N. N. Gutkova (1896-1960? ), Russian mineralogist, who intensively studied the Khibina-Lovozero alkaline complex. She was the first to describe the properties of the Khibiny apatite; discovered primary lovchorrite deposits in the Khibiny massif in 1930; and published the first list of Lovozero species (21) in 1928. 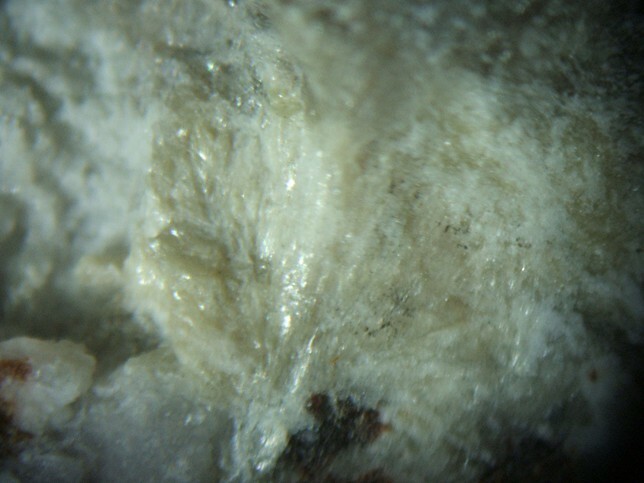 This page provides mineralogical data about Gutkovaite-Mn. Prismatic crystals to 0.8 mm in length. Microtwinned on (001) and (_401). 57 mm Debye-Scherrer, FeKα radiation. Fersman Mineralogical Museum, Moscow, Russia. - Pekov, I.V., Chukanov, N.V., Rastsvetaeva, R.K., Zadov, A.E., Kononkova, N.N. (2002): Gutkovaite-Mn, CaK2Mn(Ti,Nb)4(Si4O12)2(O,OH)4·5H2O, a new mineral of the labuntsovite group from the Khibiny massif, Kola Peninsula. Zapiski Vserossiyskogo Mineralogicheskogo Obshchestva, 131(2), 51-57. - Chukanov, N,V., Pekov, I.V., Khomyakov, A.P. (2002): Recommended nomenclature for labuntsovite-group minerals. European Journal of Mineralogy, 14, 165-173. Rozenberg K.A., Rastsvetaeva R.K. (2002), IMA 18th Meeting, Poster Session A12, A12-6. Belokoneva E.L. (2005), Crystallogr. Reports, 50, 13-19. Jambor, John L., V.A. 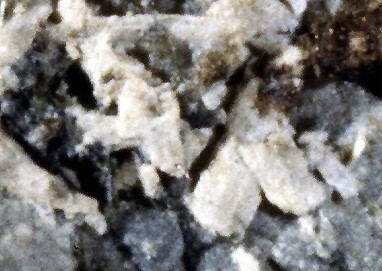 Kovalenker, & A.C. Roberts (2003), New Mineral Names, American Mineralogist: 88: 931-935. Kola Science Center of Russian Academy of Sciences - History (http://www.kolasc.net.ru/ksc/history.html). European Journal of Mineralogy: 14: 165-173; Zapiski Vserossiyskogo Mineralogicheskogo Obshchestva: 131(2): 51-57.